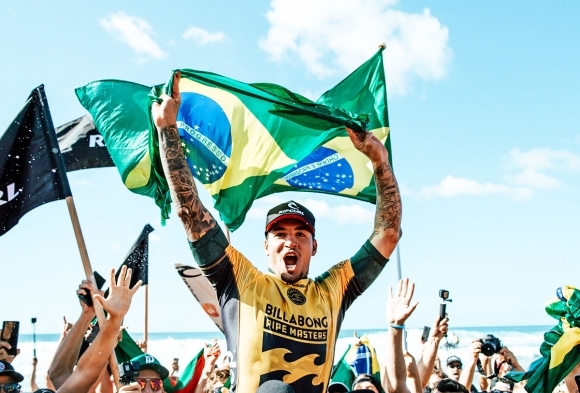 Brazilian Gabriel Medina did the double early today in fine style to become the surfing world champion for the second time by winning his first Billabong Pipe Masters. He didn't need to win it. He just needed to make the final, which meant his nearest competitor Julian Wilson couldn't win the title. However, Wilson went all the way anyway, just to give Gabby something to surf for, taking care of 11-time world champ Kelly Slater in the semi-finals. And Medina surfed like he still needed to win the world title. The difference for Medina, who took care of Jordy Smith in the semi-finals (the big South African finishes 5th on the CT), was his top scoring wave (9.57) in a titanic clash with Wilson in epic 10-to-15 foot tubes on the final stop of the WSL Men’s Championship Tour (CT) and last event of the Vans Triple Crown of Surfing (VTCS). In the end, Wilson's top scoring wave - an 8.77 - was the same as Gabby's second score, and Medina would not be denied. The score stood at 18.34 against 16.70 when the spray had settled. Jesse Mendes (BRA) won the Triple Crown after his fifth at Haleiwa, 2nd at Sunset and a 9th here to become just the second surfer from Brazil to claim it. Medina took it in 2015. In the break before the final, Coco Ho stole the show at the Women’s Pipe Invitational, taking out an all-Hawaii heat against Carissa Moore, Alessa Quizon, and Zoe McDougall. To cap off an emotional day, Australian Joel Parkinson bid farewell after Mendes had denied Parko's chance to take the Triple Crown. Medina’s road to the Title in 2018 was bumpy at first but then the Brasilian switched gears mid-season and claimed back-to-back wins in Tahiti and the inaugural Surf Ranch Pro. 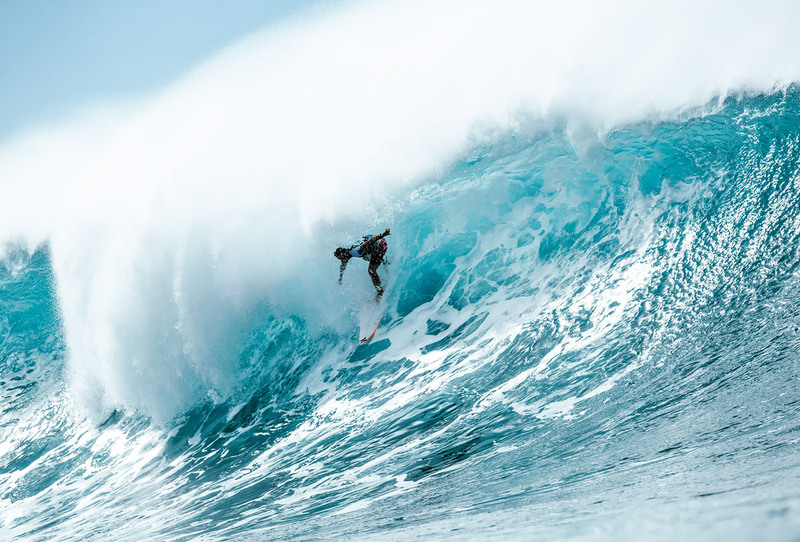 He continued to impress as one of the most consistent surfers through the European leg with two equal-third places and arrived in Hawaii with a 4,740-point lead over Wilson. In 2014, the then-20-year-old Medina wrote a new page in surfing’s history books as the first Brasilian to win a World Title, in a race against Mick Fanning (AUS), John John Florence (HAW) and Kelly Slater (USA). It was also the year the phenomenal surfer from Maresias shut down criticism about his bigger-surf aptitudes by winning at Fiji and Tahiti, and finishing the season with a runner-up at Pipeline. With over eight million followers on social media, Medina has built a global and dedicated fanbase - growing the profile of professional surfing both in Brasil and in the rest of the world. His friendship with football superstar Neymar Jr has only contributed to elevating his profile as a celebrated athlete and Medina’s influence in his home country continues to reach new heights. The emergence of the Brasilian Storm dates back to 2011, when an seven Brasilian surfers made the CT, the same year 17-year-old Medina first qualified. Only accessing the elite tour halfway through the season, Medina managed to clinch two event victories right away as a preview of what was to come. It took two more years for the phenomenon to find his competitive rhythm, winning his first World Title in 2014. His success inspired compatriot Adriano de Souza (BRA), who went on to win Brasil’s second World Title the following season. In 2018, Italo Ferreira, Filipe Toledo, Willian Cardoso, and Medina were collectively responsible for nine out of 11 CT event wins this year, with Wilson claiming the other two. Wilson capped off an incredibly consistent season: two event victories in Australia and France, two finals and four strong results to finish 2nd for the first time in his career. 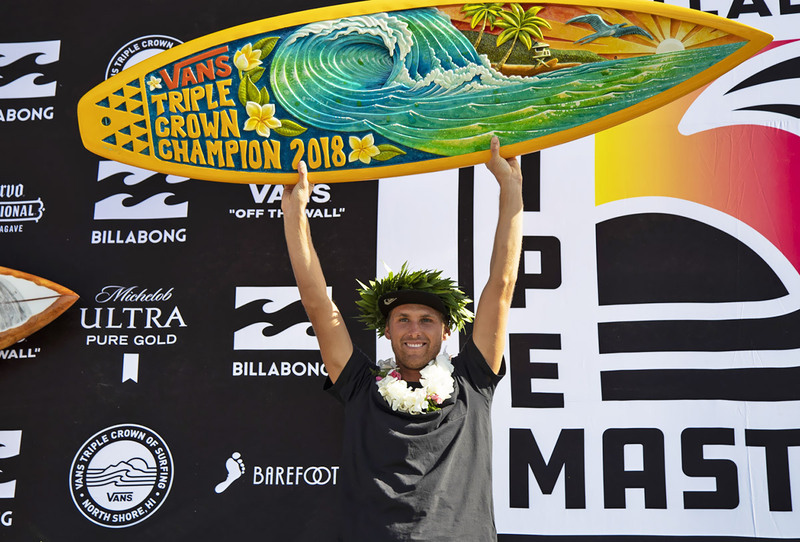 At Pipeline, the Australian needed to make the Final for a shot at bringing the World Title home, and he delivered with inspiring performances, most notably facing down 11x World Champion Slater in the Semifinals. 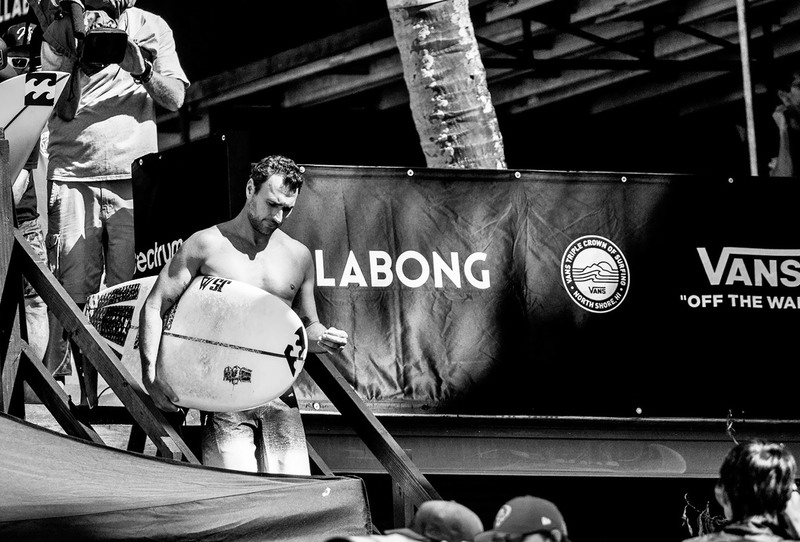 Unfortunately, Medina reaching the Final left no chance for Wilson to lift surfing’s most prestigious trophy. “I’m so thankful for the incredible waves and the locals for allowing us to surf here," Wilson said. "The hopes and dreams of the World Title were there today and it’s been an emotional one. It came down to the final heat of the year and I’m ready to do it again next year. I put my heart out there and gave it my all, but Medina deservedly took the title and I’m so happy for him. In the second Semifinal, the battle between Wilson and 11x World Champion Slater happened mostly on the rights of Backdoor and the Australian managed to fence off the all-time greatest surfer at Pipe (Slater won the event 7 times) to advance into the Final against newly crowned World Champion Medina. Slater was sidelined for most of the season by a foot injury sustained last year at J-Bay but finished today with an Equal third place result.